2018 is our 10-year handbag anniversary! We sold our first Hermès bag in 2008. And we’ve now been in Mayfair for 8 years. So we thought, finally, it is time we found a new brand worthy of your attention. We have chosen Llora handbags. Llora handbags is a Singaporean brand creating exquisite crocodile handbags and clutches. The craftsmanship is just beautiful, the designs exciting and elegant. The brand has a core following in the Far East, opened in the United States in October, and has just arrived in London this month. The designer, Ling Fu, born in Indonesia and based in Singapore, spends 6-8 months painstakingly perfecting each model prior to manufacture. 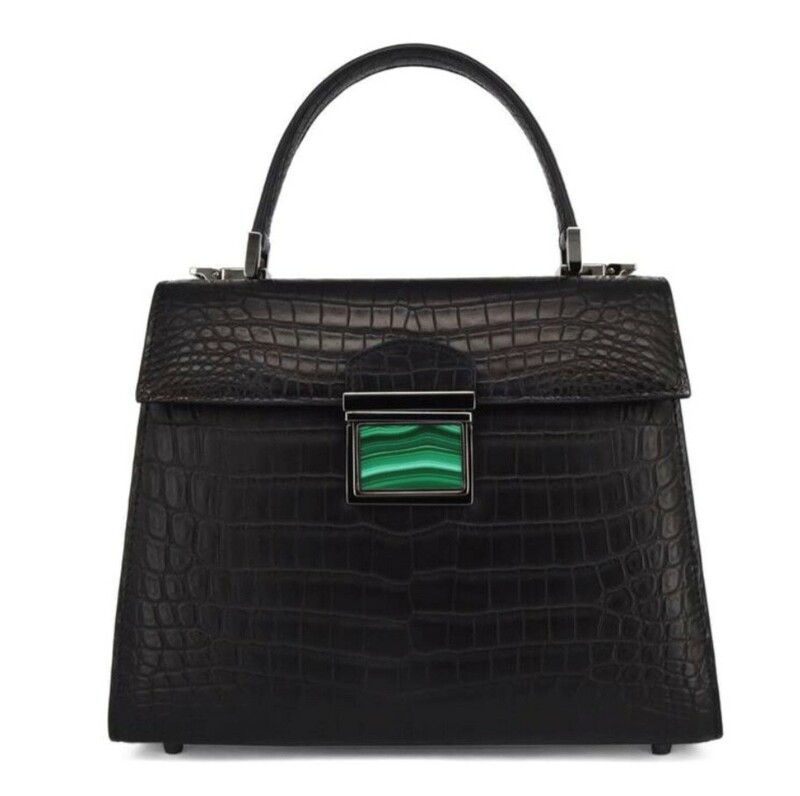 The crocodile skins are bought in Asia and the bags manufactured in Italy, and she has made sure each skin is as flat as possible, so the bag never bulges. And then the metalware is really stunning, when closely examined. The steel is galvanised (coated) three times more than any other luxury brand. It looks like the metalware you see on luxury yachts, and means that it will last as long as the leather, which is unheard until now in the world of handbags. This season, some of the bags are finished with semi precious stones, like malachite, lapis lazuli and tourmaline. These stones are worked on in Florence in the same workshop that deals with Christian Dior, Bulgari and Fendi. We are very excited to be working with Llora and invite you to come and see the collection in Vigo Street, Mayfair. Click here to preview the bags online.